Argyranthemum LaRita Lime is a hit! A certain amount of horticultural snobbishness prevents the wider cultivation of the simple Chrysanthemum, just because they are easy to grow – they figure high in the “kiddies garden” – folks feel it beneath them to grow them. What a mistake! To try to get the discerning public to purchase this group of plants the “powers that be” gave it a name change from the plain old Chrysanthemum to Argyranthemum. (More exotic sounding, “Don’t you know”) LaRita Lime Argyranthemum is one of the latest results from a huge Selecta breeding program. Masses of smallish lime nearly double flowers appear on long stems, perfect for cutting. If there ever was a fashion flower then this is it. Dead flowers must be removed to promote new flowers to be produced, whether grown in containers or in the ground this plant will reach over 24 inches in height and will bloom until a hard frost. 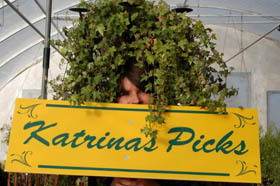 If you are wondering why did Katrina pick a common old petunia? This petunia is anything but common, and in truth it was not the first on the pick list, but when she looked at how many times she put this into baskets and containers it must be a great choice. 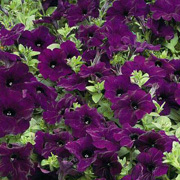 The Ramblin’ series of petunias is produced by the same people that developed the Wave Petunia. So you know that it will be fantastic. An abundance of 3-inch majestic royal blue flowers, cover the entire plant all summer season. The Ramblin’ series of petunias are not as spreading as their Wave cousins, probably only up to 3 feet, but are still well suited for containers and baskets. Much like all petunias, they require a full sun exposure and deadhead the finished blooms so new flowers will be produced. Fertilize once a week with 20-20-20 and refer to the “General Care of Containers” in “Ask An Expert” on this web site. Plectranthus Purple, (aka Tin Soldier) is one of the best shade plants we sell. We use it in almost every shady hanging basket and container. Decorative dark green leaves with deep purple veining on top give way to a beautiful reverse of amazing grape purple. But wait for the surprise of stunning lilac purple flowers that appear in spiky stems that sit above the leaves. This plant can be brought inside for the winter months and is perfect as a low-light houseplant; it then can be put out again in the spring. The best part of this plant is the very little work it takes to have a great looking container. 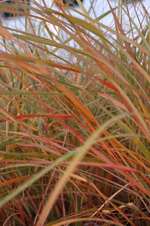 No fertilizer is required and it will let you know when it is dry, with wilting leaves. A perfect “bachelor” plant for the person starting out gardening and has a shady corner. Chrysanthemum Paldosum “Snow Lady” is a superb bedding plant, flowering from early spring to a hard frost with a minimal amount of work. 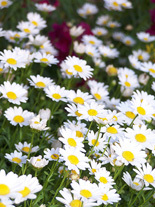 Snow-white petals on bushy mounding plants surround gorgeous yellow-centres. Hundreds of these showy white flowers are easy to grow even with studied neglect these plants should produce something good. Plant in a garden bed about 5 inches apart in a full sun to part sun location. Grown at Vale’s Greenhouse since 1976, it is truly one of the best bedding plants that customers ask for by name. Pixie Fuchsia, is truly a great find. While on holiday in Vancouver in the early 90’s Katrina picked up this charming little plant and it has been a wonderful addition ever since. The first point to note about this beautiful plant is that it is completely different from your typical everyday fuchsia. 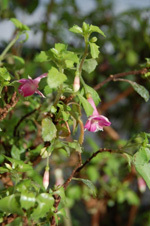 Dainty tiny pink flowers about ½ inch long, grace this bushy plant that is unusual and highly ornamental. Soft green serrated leaves gives this fuchsia a cushion effect, of about 10 inches tall. Perfect for the container that sits in the morning sun. Assorted Succulents; Aeoniums, Crassula and Echeverias make up this huge assortment of succulent plants. To the average gardener it just does not matter what genus they come from, they are justly popular, beautiful and easily grow. Fleshy leaves forming rosettes in a wide assortment of attractive geometric designs can be chosen in a huge range of colours, from rich black, to forest green to sunset pink. Some have stems, others are stemless so that they lie close to the ground. They are easily grown and many make excellent houseplants. This entire group of attractive and useful plants love a sunny container. These noble plants will be the envy of your neighbourhood.